Considered and decided by Kalitowski, Presiding Judge; Toussaint, Chief Judge; and Ross, Judge. 1. Undisputed evidence that a person seeking indemnification for fines and attorney fees related to a criminal conviction acted with fraudulent intent in committing the crime conclusively establishes that the individual did not act in good faith and therefore is not entitled to indemnification under Minn. Stat. � 302A.521, subd. 2(a) (2006). 2. Unless a corporation has violated a provision of Minn. Stat. �� 302A.001-.92 (2006), a person having any role within that corporation is not entitled to indemnification under Minn. Stat. � 302A.467 (2006). 3. When a contract provides that an appraisal be made independently by a non-party to the contract, but does not stipulate that the appraisal is binding and conclusive, a factual determination as to whether the contract�s language supports a fair inference that the parties intended to be bound by the appraisal is required to determine whether the appraisal is binding and conclusive. 4. When a contract provides that an appraisal be made independently by a non-party to the contract, but does not stipulate that the appraisal is binding and conclusive, a jury deciding whether the contract was breached must be instructed to determine first whether the parties intended to be bound by the appraisal. 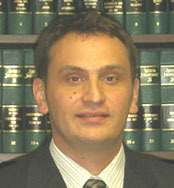 Appellant corporations were sued by respondent former chief executive officer of one of the corporations, who alleged that he was entitled both to indemnification for his criminal fine and attorney fees and to damages caused by appellants� breach of the bonus provision in the parties� separation agreement. The district court denied appellants� motions for summary judgment, and the matter proceeded to trial. The district court adopted the jury�s findings, entered judgment for respondent, and awarded respondent attorney fees. The district court denied appellants� motion for judgment notwithstanding the verdict or, in the alternative, a new trial. We reverse and remand. Appellants Augustine Medical, Inc. and Arizant Healthcare, Inc. were subsidiaries of appellant Arizant, Inc. Respondent Scott D. Augustine, M.D., was the chief executive officer of Augustine Medical, Inc. Appellants manufactured and sold Warm-Up Active Wound Therapy. TriSpan Health Services, a fiscal intermediary of the federal Medicare program, initially approved coverage for Warm-Up but later assigned it investigational, rather than approval, status in a letter to respondent. In 2003, appellants, respondent, and several others were charged by federal indictment with crimes related to having concealed that letter from Southern Medical Distributors, an entity operating as a medical-device distributor that was, in fact, an undercover business front created by the federal government to investigate Medicare fraud. In May 2004, appellants pleaded guilty to the charge of conspiring to defraud the United States by impairing, impeding, and obstructing the administration of the Medicare program in violation of 18 U.S.C. �� 2, 371 (2000). Thereafter, respondent pleaded guilty to �knowingly and intentionally aid[ing] and abett[ing] the offense . . . by causing to be withheld from Southern Medical Distributors a material fact for use in determining rights to benefits and payments under . . . the Medicare program� in violation of 42 U.S.C. � 1320a-7b(a)(2) (2000) and 18 U.S.C. � 2. The federal district court sentenced respondent to a three-year probationary term and ordered him to pay a ,000,025 fine. Respondent brought suit against appellants, seeking indemnification for his criminal fine and attorney fees and damages caused by appellants� breach of the stock-bonus provision in the parties� separation agreement. 1. Did the district court err by failing to rule, as a matter of law, that respondent is not entitled to indemnification because he did not act in good faith and denying appellants� motion for summary judgment? 2. Did the district court err as a matter of law by awarding respondent attorney fees for his indemnification claim? 3. When the contract provided that an appraisal be made independently by a non-party to the contract, but did not stipulate that the appraisal was binding and conclusive, did the district court err in submitting to the jury the question of whether a party breached the contract by challenging the appraisal? 4. Did the district court err by failing to instruct the jury that it must determine whether the parties intended the independent appraisal of the value of stock prescribed by their agreement to be binding and conclusive? The jury found, and the district court held, that appellants must indemnify respondent for his criminal fine and attorney fees. Appellants argue that the district court erred by denying their motion for summary judgment and submitting this issue to the jury. 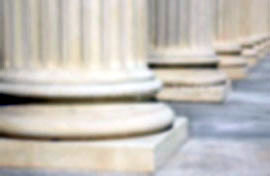 We may review nonappealable interlocutory orders, such as an order denying summary judgment, on appeal from a judgment if that order involves the merits or affects the judgment. Schoer v. W. Bend Mut. Ins. Co., 473 N.W.2d 73, 75 (Minn. App. 1991). We review a denial of a motion for summary judgment to determine whether any genuine issues of material fact exist and whether the district court erred in its application of the law. Zank v. Larson, 552 N.W.2d 719, 721 (Minn. 1996). Appellants argue that respondent�s conviction of knowingly and intentionally aiding and abetting others in withholding a material fact from another for use in determining the other�s rights to Medicare benefits and payments in violation of 42 U.S.C. � 1320a-7b(a)(2) (2000) and 18 U.S.C. � 2 (2000) precludes his indemnification under Minn. Stat. � 302A.521, subd. 2(a) (2006) because that conviction establishes that respondent did not act in good faith. �[A] corporation shall indemnify a person made . . . a party to a proceeding by reason of the former or present official capacity of the person . . . if, with respect to the acts or omissions of the person complained of in the proceeding, the person. . . acted in good faith.� Minn. Stat. � 302A.521, subd. 2(a). �Good faith� is defined as �honesty in fact in the conduct or the act or transaction concerned.� Minn. Stat. � 302A.011, subd. 13 (2006). A determination of whether someone acted in good faith necessarily involves factual findings. Tonka Tours, Inc. v. Chadima, 372 N.W.2d 723, 728 (Minn. 1985). �It is for the trier of fact to evaluate the credibility of a claim of �honesty in fact� and, in doing so, to take account of the reasonableness or unreasonableness of the claim.� Id. When the evidence is dispositive of this issue, a district court may find that no questions of fact exist and decide the issue as a matter of law. See Menard, Inc. v. King De Son, Co., 467 N.W.2d 34, 37-38 (Minn. App. 1991) (affirming grant of summary judgment on claim that defendant was holder in due course of letters of credit because �there is no question of fact, and [non-moving party] fail[ed] to show [moving party] lacked good faith�). The acts of a person whom a defendant aids and abets become the acts of the defendant. United States v. Delpit, 94 F.3d 1134, 1152 (8th Cir. 1996). Respondent was convicted of aiding and abetting violations of 42 U.S.C. � 1320a-7b(a)(2). Conviction under 42 U.S.C. 1320a-7b(a)(2) requires proof beyond a reasonable doubt that the defendant (1) knowingly and willfully (2) made or caused to be made (3) a false statement or representation (4) of a material fact (5) for use in determining rights to a benefit or payment under a federal healthcare program. Respondent affirmed under oath that he �knowingly and [willfully] aided and abetted the offense of 42 U.S.C., Section 1320a-7b(a)(2).� As such, he �cannot fairly be said to have acted in good faith.� See United States v. Rice, 449 F.3d 887, 896 (8th Cir. 2006) (holding that �defendant who . . . acted with intent to defraud cannot fairly be said to have acted in good faith�), cert. denied, 127 S. Ct. 601 (2006); see also United States v. Brown, 478 F.3d 926, 928 (8th Cir. 2007) (holding that, based on district court�s instruction on willfulness and intent, jury�s finding of guilt necessarily indicated that it had found that defendants �did not act with honest intentions in their transactions�); United States v. Jain, 93 F.3d 436, 440-41 (8th Cir. 1996) (holding that conviction of violating 42 U.S.C. � 1320a-7b, which makes it unlawful to �knowingly and willfully� receive kickbacks for referring individual to another for Medicare-paid services, requires proof that defendant knew conduct was wrongful, which is higher standard than general requirement that defendant have mere consciousness of act). Because both the undisputed evidence of respondent�s sworn admission that he acted with fraudulent intent and respondent�s conviction conclusively establish that he did not act in good faith and because good faith is an essential element of an indemnification claim, respondent�s indemnification claims fail as a matter of law. Therefore, the district court erred in denying appellants� motion for summary judgment. Our conclusion that appellants did not violate Minn. Stat. � 302A.521, subd. 2(a), by refusing to indemnify respondent compels the conclusion that respondent was not entitled to attorney fees under Minn. Stat. � 302A.467 (2006) (providing that a court may award attorney fees if a corporation has violated Minn. Stat. �� 302A.001-.92 (2006)). The district court erred in awarding attorney fees. 3. Effect of independent appraisal. Because it found genuine issues of material fact as to whether the parties� separation agreement stipulated that a third party�s independent appraisal of stock was to be conclusive, the district court denied appellants� motion for summary judgment on respondent�s claim that appellants breached the agreement. �[U]nder Minnesota law, as well as generally, the result of an appraisal which the parties have thus contracted to have made is . . . conclusive upon them . . . if they have expressly stipulated that it shall be so conclusive, or if the intention to be so bound is fairly inferable from the language which they have used.� Sanitary Farm Dairies v. Gammel, 195 F.2d 106, 113 (8th Cir. 1952) (citing Nelson v. Charles Betcher Lumber Co., 88 Minn. 517, 521, 93 N.W. 661, 662 (1903)). The parties� agreement did not expressly stipulate that the independent appraisal was to be binding and conclusive. Therefore, unless the language of the agreement supports a fair inference that the parties intended the appraisal to be binding and conclusive, the appraisal is not conclusive or binding on the parties. �An intent to be . . . bound is determined by the objective manifestations of the parties� words, conduct, and documents, and not by their subjective intent.� Norwest Bank Minn. N., N.A. v. Beckler, 663 N.W.2d 571, 578 (Minn. App. 2003). Whether such an intent exists is a question of fact that must be resolved by the jury. See Metro Office Parks Co. v. Control Data Corp., 295 Minn. 348, 355, 205 N.W.2d 121, 125 (1973) (holding that parties� intent to be bound by letter of intent is �matter of fact�). Therefore, the district court properly submitted respondent�s breach-of-contract claim to the jury. Appellants argue that the jury instructions on respondent�s breach-of-contract claim did not fairly or correctly state the law. When jury instructions do not fairly and correctly state the law, the objecting party is entitled to a new trial. Alevizos v. Metro. Airports Comm�n, 452 N.W.2d 492, 501 (Minn. App. 1990) (holding that appellate court will not grant new trial when jury instructions fairly and correctly state law), review denied (Minn. May 11, 1990). The jury was instructed only that the �separation agreement between [respondent] and [appellants] . . . is a contract. A contract is breached when there is a failure to perform a substantial part of the contract.� The jury was not instructed on or asked to determine whether the parties� intent to be bound by the independent appraisal could be fairly inferred from the separation agreement. Thus, because the district court�s instruction did not fairly or correctly state the applicable law, a new trial on this issue is necessary. See id. The undisputed evidence that respondent acted with fraudulent intent conclusively establishes that he did not act in good faith and is not entitled to indemnification under Minn. Stat. � 302A.521, subd. 2(a) (2006). Because appellants did not violate Minn. Stat. � 302A.521, subd. 2(a), respondent is not entitled to attorney fees based on that violation under Minn. Stat. � 302A.467 (2006). We therefore reverse the awards of indemnification and attorney fees. Because the jury instruction did not fairly or correctly state the applicable law on whether an independent appraisal mandated by a contract is binding and conclusive, we reverse the award of contractual damages and remand for a new trial.